From time to time every residence should receive a good cleaning. With that being said, it doesn’t matter if you are a landlord that owns an apartment building or if you are a tenant that pays a monthly lease. We as humans will sometimes collect clutter and other items that are of no use to us. And those items will pile up taking valuable space in our apartment that could be used for something useful. Oftentimes it is circumstances such as these which will cause us to do a thorough cleaning of our living environment. We may choose to do it ourselves if we find the time, however, many times we will hire professional cleaning personnel to do the job for us. There are many times this is often the better route to take when you desire a deep cleaning of said premises. If you live in the state of Texas and you wish to hire the experts that are trained to provide apartment-cleaning service in Houston then you will receive a profound cleaning which requires specialized equipment that you do not have lying around to get the job done. When you take the time to hire the professionals, you will quickly discover that it can be very cost-effective in the long run. So it is best to not try and give them competition by doing it yourself if you don’t have access to the heavy-duty cleaning supplies and products. For example, you would spend hours making an attempt to get all the windows adequately cleaned at your private residence, especially if you have decided to become a weekend warrior and want to tackle the job on a Saturday or Sunday afternoon. The same holds true if you are a landlord and have several apartments for which you are responsible for keeping in livable sanitary conditions. The professionals will have the proper equipment and the correct cleaning solutions to get the job done in one-third of the time. It is important for consumers to keep in mind that when they hire apartment-cleaning services, there will always be pros and cons to consider. For example, if you are going with an independent contractor and you need them by a certain day, if you have waited too long to call them, you may find that they are booked and will not be able to meet your needs in a timely fashion. 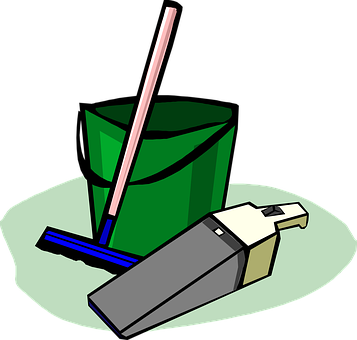 However, if you decide to go with a larger cleaning company, it is likely that they will be able to send someone else if the person assigned to the job cannot make it for one reason or another. Also you may find that the price you pay is higher just because of the different conveniences that are easily designed to fit your needs. Often times when consumers engage this type of professional service, they opt for services that will permit the professional cleaner to be able to clean everything from the kitchen to the attic if they so desire. These experts are also more likely to have switched over to using chemicals that are harmless to the environment.